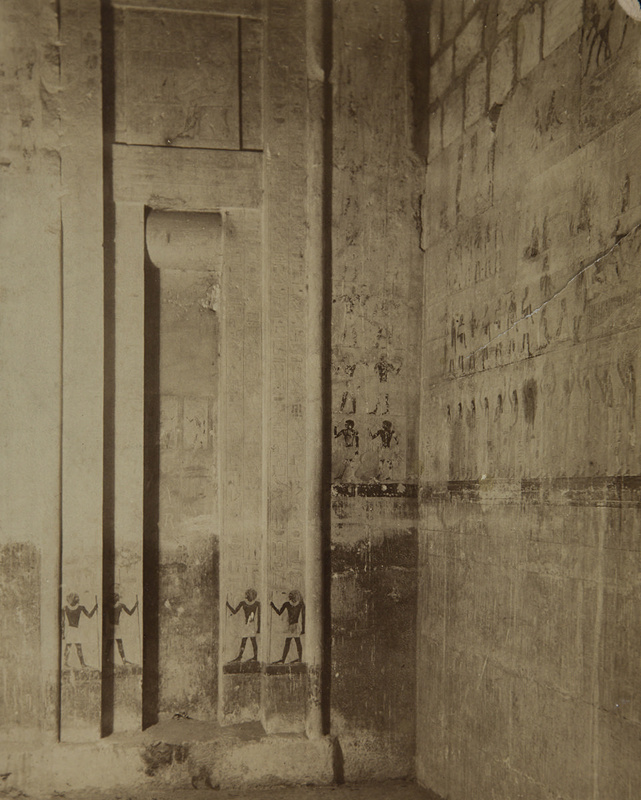 View of a wall covered in hieroglyphics in the Tomb of Ti. The Tomb of Ti is located at the Saqqara necropolis south of Cairo. The Lekegian & Co photography studio was active from 1880s to 1920s based in Cairo and known for photographs of both daily life in Egypt and tourist destinations.